On a quiet street at the West end of Edinburgh's Grassmarket, the enticing Godiva is located in easy reach of the fashion conscious students, located right next to the Edinburgh College of Art. Owner, Fleur MacIntosh, has built up a solid relationship with the school by introducing new designers into her store, supporting their first steps into the world of fashion. 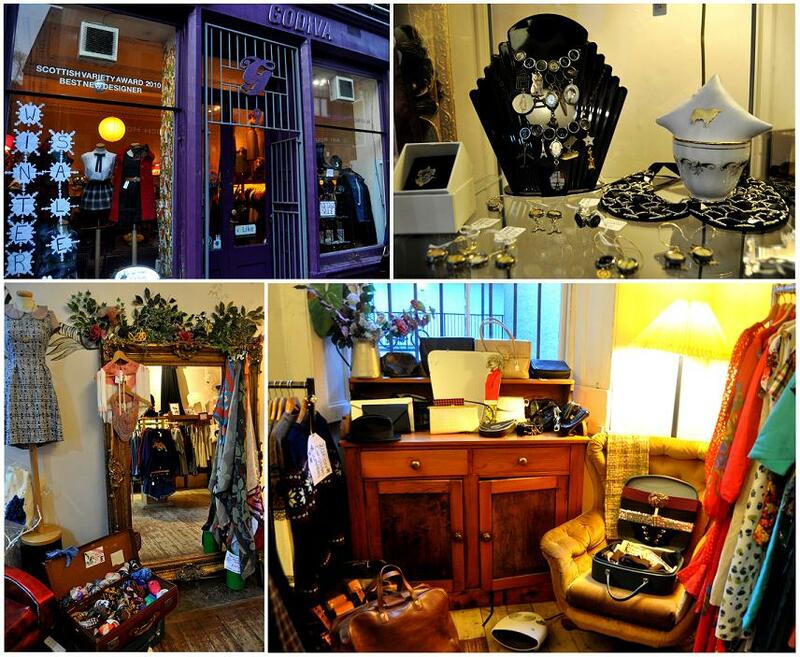 The store contains both vintage clothes along with original reworked designs, which are handpicked by the stores owner. Godiva's motto is to strive against 'the soul sucking monotony of fast-food fashion' - so think of it as a healthy alternative to a detrimental traipse along the high street!